What Exactly are Writing Communities? A community is–in a vaguely generic sense–a unified body of individuals with one or more commonalities. The lovely thing about such a definition is that the word can be expanded beyond locality, which is what people think of first (neighborhoods, campuses…). As long as the people work to thrive together and share common demographics (in some way), they’re part of the community. Social media’s advent allows for more communities to plant and grow, bringing together more people. While some are successful in uniting individuals who may feel isolated in their interest or “demographic”, some seem to still struggle for many reasons. 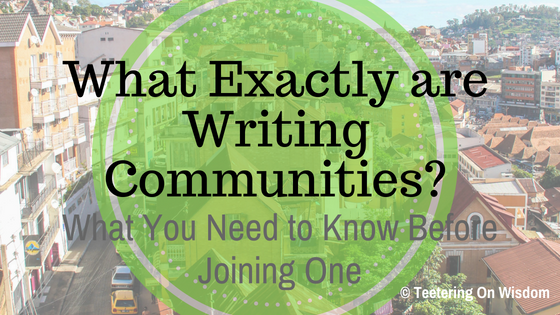 I never truly realized that until I tried to find writing communities online. I never felt so proud to be a writer until I found I wasn’t the only one so passionate about the craft! I joined a bunch of them, but over time, learned which were actually communities and which weren’t. When I became a community owner, I really had to take the time to figure out what a writing community is supposed to do for its members in order to make mine better. When trying to find your writing homies, think about why you’re joining the community to determine which is the right fit for you. Many writers want to work with other writers so they can get help with their work. 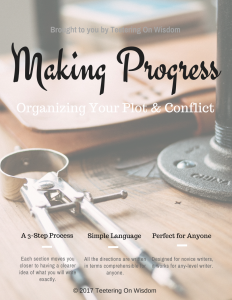 Feedback, editing, beta-reading, etc. While that’s fine, make sure you find a group of people who are willing to do that (as most aren’t because they just want someone to read theirs. If you ask for help, return the favor!). If you find a group designed for feedback and critique, you’ll not only get better constructive criticism (instead of just flaming if you post it to non-writing places), you’ll also have a chance to read other writing to help you with your own. Wanna write better? Here’s the place. 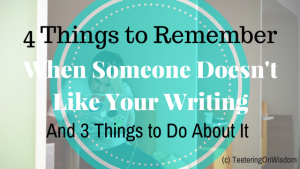 However, be ready to thicken that skin, because these writers tend to be more honest and disconnected to your feelings–just like the editors and agents will be if you try to publish. AUTHENTIC writing lifestyle support groups are more of a rarity. Most communities claim that’s what they are, but very few follow through with helping us connect with other writers and support our author lifestyle desires. 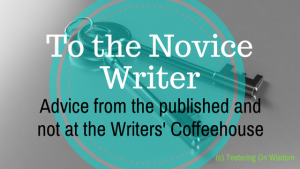 While some may ask or share personal questions and experiences—which does build relationships—that doesn’t necessarily mean you’ll connect with anyone on a writer level. The plus about lifestyle groups is they are the best of all the writing community worlds. The downside: people use the openness to spam, advertise, and vent about irrelevant things. Don’t do that. Most communities—you will get confronted and/or banned. It’s a place for your writing interests; keep everything else to yourself. 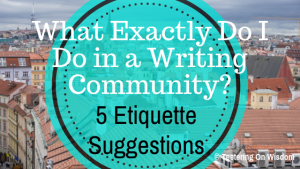 Also, writing an article about something in your life or on your mind does not count as writer lifestyle discussion. My writing community is for writer lifestyle and support. Monitored by myself and Amanda Staley, we strive to make sure the community is living up to the authenticity so many other communities lack. Visit us on Goggle+, Facebook, and Twitter. Even though socializing writers sounds like a myth, it is actually a thing. These mythical beings typically congregate in discussion communities where they actually want to talk about and learn how to better write. Crazy, right?! These tend to be more thought-provoking and mature communities. Being such, they tend to be more experienced (though not necessarily professional) writers who are intolerant of validation-seeking, insecurity, and spamming. Don’t come here expecting anything than strict discussion about writing lifestyle, craft, and career. Anything else, and you’ll probably receive sarcasm/criticism/ostracism. Same with if you come asking everyone for help with basic things like “how do I become a writer”, “what’s another word for”, and “I need a story idea”. Sounds harsh, but this is where the serious writers go. Novices are welcome, but be ready to hit the ground running. If you can keep up, you’ll rapidly grow as a writer before you know it! Because many writers feel like introverts and find comfort in writing, they eventually seek validation from others. Who better to receive validation about your feelings than with others who probably feel the same way? That’s why you get people who post their work to communities, not really expecting anything but a place to show it off. In the same way, communities that focus on practice and sharing typically offer writing prompts to get everyone writing and sharing. These kinds of communities aren’t really helpful or productive in any way than as a “therapy” group. Don’t join expecting anything else. And, be ready for more spamming from blog links to non-writing topics by “non-writers” who happen to write articles. Also, sorry to break it to you, but: There is no such thing as a promotion community! You may see them listed and join, but those are basically spamming boards. People get on there and link their articles, releases, and ads; then… that’s it. No one reads it, no one clicks it, no one cares; the members are just spammers. NOTE: if you join a writing community and advertise your blog or book release more than anything else, you’re a spammer, too. Most writers are not interested in reading your book or article unless it can help with their own writing. If you’re in a sharing group, you’ll probably get some “congrats”, but no much more. So, you better reevaluate your marketing strategy. You have no mercy, do you? Well, just trying to be honest. For your sake. Communities of any kind can be the best thing to enter your life. 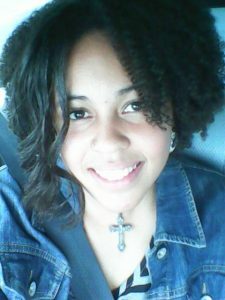 I know when I had to start working and wanted to pick up writing again, being in communities really motivated me and combatted the life-change depression. However, communities can also discourage you and make you want to shrink from the world if you lack the social coping to deal with it. You don’t exactly need social suavity and confidence, but you need a willingness to grow up socially. If you can introduce yourself and genuinely participate with the other members, you’ll meet great people who will really change your life as a writer and beyond; you’ll take that next step toward greatness—however you define it; you’ll contribute to something bigger than yourself and help others, too. Hmm…interesting. This could have all been summed up with “join us”, instead. *rolls eyes* Yes, join us. What are your experiences with writing communities? Have any specific recommendations for the rest of us? Let us know in the comments below, and on social media, of course. And, don’t forget to sign up for writing wisdom every other week in your inbox, along with a password to access exclusive writing freebies.